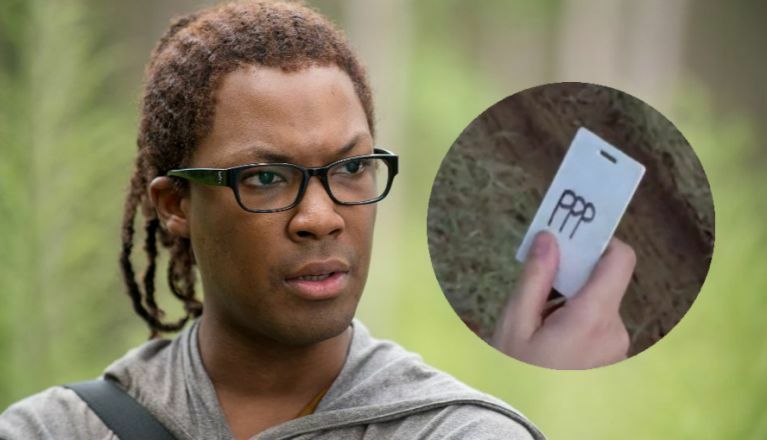 The Walking Dead showrunner has confirmed, once and for all, that the same people who have been talking to Jadis and flying the helicopter are the people who took Heath back in Season 7. To end Rick's time on The Walking Dead, he was badly injured and floated down a river after blowing his bridge up in an effort to protect his communities. After he washed ashore on an embankment beside the river, Jadis spotted him and called to her helicopter that she has a "B" which happens to be a friend need. Together, they flew away from Alexandria. This same group is responsible for Heath's disappearance in Season Seven. "That was kind of the intention that we had in the back of our heads this whole time," Kang told INSIDER. "Even back in that season where you know we had to write the wonderful Corey Hawkins out because he had huge opportunities in the feature film world... those seeds were already set there." Heath actor Corey Hawkins left The Walking Dead to play the lead role on 24: Legacy, a series which has since been cancelled. Such news could open him up for a return to The Walking Dead, whether it be on the TV series or for an appearance in the movies centered around Rick Grimes by the Dead universe's chief content officer Scott Gimple. During a panel a New York Comic Con in early October, The Walking Dead creator and executive producer of the AMC series Robert Kirkman discussed Heath's fate. "We are hoping to get him back and tell his story," Kirkman said. It's a sentiment which new showrunner Kang echoed in her interview, saying, "I hope so, too."